Try These Trouble Free Christmas Tree Tips! 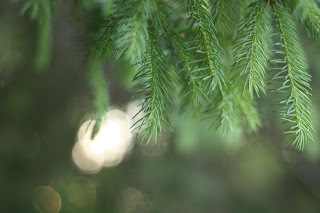 A lush, green Christmas tree is one of the best things about the holidays. A brown, brittle tree that’s started shedding all over your living room? Not so much. Follow these tips to keep your tree merry for the season. Christmas trees need to keep absorbing water to stay green. The problem is that once they’ve been cut, the bottom of the tree seals up with sap after about three hours. Ask the salesman at the tree lot to make a fresh cut across the bottom for you and get the trunk into water as soon as you get home. It will absorb much better. Also, keep in mind that your tree is constantly thirsty. After the first day, when it may absorb as much as a gallon, the tree will still be taking in about a quart a day. If the water level drops too low, the bottom will seal with sap and your tree won’t be able to take in water efficiently anymore. Invest in some new LED light strings. They use 90% less energy than the old-fashioned ones and can save you $50 over the season! They’re also much cooler in temperature than traditional bulbs and can help prevent your home from having one of the estimated 250 tree fires that happen every holiday season. The air inside your home gets dry in the winter, and that can dehydrate your tree and drain its water reservoir more quickly. Position a room humidifier in the same room as the tree to make a great environment for green.